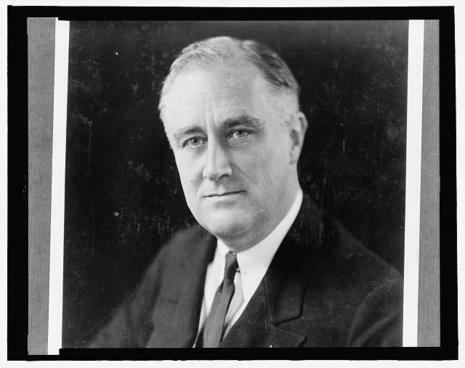 June 16, 1933, marked the end of the first hundred days of the presidency of Franklin Delano Roosevelt (FDR). Those one hundred days were a period of frenetic activity. Following his inauguration on March 4, Roosevelt immediately sought to stem the financial panic that had begun with the stock market crash of 1929 and to restore public confidence. He started by closing the nation's banks on March 6. On June 16, 1933, FDR signed the Banking Act, which separated commercial banking from investment banking and established the Federal Deposit Insurance Corporation. 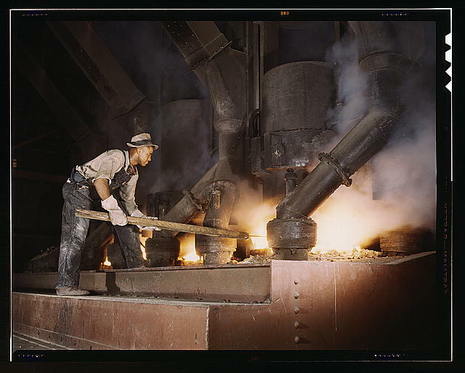 He also signed the Farm Credit Act, the Emergency Railroad Transportation Act, and the National Industrial Recovery Act (which created the Public Works Administration). Roosevelt's "First 100 Days" concentrated on the first part of his strategy: immediate relief. From March 9 to June 16, 1933, he sent Congress a record number of bills, all of which passed easily. To propose programs, Roosevelt relied on leading Senators such as George Norris, Robert F. Wagner and Hugo Black, as well as his Brain Trust of academic advisers. Like Hoover, he saw the Depression caused in part by people no longer spending or investing because they were afraid. His inauguration on March 4, 1933 occurred in the middle of a bank panic, hence the backdrop for his famous words: "The only thing we have to fear is fear itself." The very next day Congress passed the Emergency Banking Act which declared a "bank holiday" and announced a plan to allow banks to reopen. However, the number of banks that opened their doors after the "holiday" was less than the number that had been open before. This was his first proposed step to recovery. To give Americans confidence in the banks, Roosevelt signed the Glass-Stegall Act that created the Federal Deposit Insurance Corporation.